Sometimes, toddlers are picky. Okay, fine. Toddlers are picky. End of sentence. It’s hard to get them to do anything you’d like them to, such as sleep, clean up, wear clothes, use the potty, or eat healthy. This last one can be a particular battle at our house. Our family cooks a lot, most of our meals actually, and so I know that when I cook, it’s probably healthy, and usually pleases my kids. But sometimes, I can put three of my toddler’s approved foods on his plate, and he won’t touch them. This raises a few concerns for me. First and foremost, I want him to be healthy, and grow strong. I know that he’s got to have good food (or food at all!) to do that. So when I put a meal in front of him, and he screams for candy and won’t touch it, I get worried. Or when I choose something I’m sure he will like (i.e. he’s liked it in the past), and he refuses it, I’m torn whether to just let it go and not worry that he isn’t hungry/doesn’t wait it, or fix something else that I think he might want. But I don’t want to be a short-order cook, and I don’t want to concede every time and feed him what he wants (ice cream). Sometimes I can’t even convince him to sit at the table for more than 3 minutes, so how can I possibly expect him to eat a full meal that I’ve chosen for him? This means that sometimes, neither of us gets what we want. But most times, we both get a little of what we want. The first thing I do is try my hardest to put one thing on his plate I know he will eat. This usually translates to some sort of fruit. He’s a fruit lover, and I know if I want him to eat green beans, I need to give him a little mandarin orange, too. Often I find that when he starts eating that item, when it’s gone, he moves seamlessly on to whatever else is on his plate. Winning! The second thing I do is try to let him choose his plate, choose where he sits, etc. 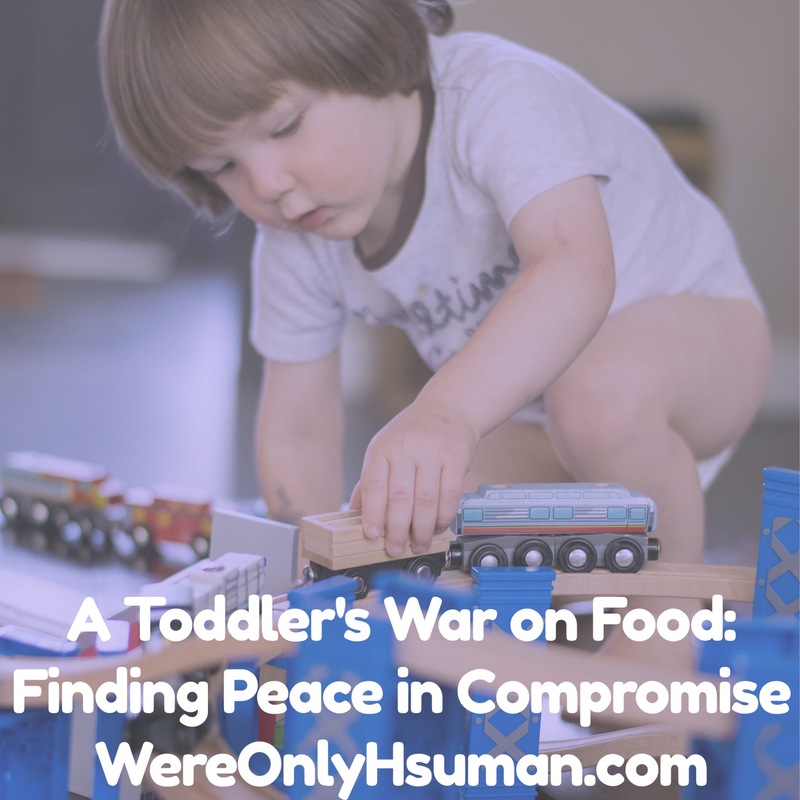 For example, my daughter (who’s almost four) finishes her food before he does almost every time, simply because she doesn’t fight about it (anymore) and she’s in a very hungry phase right now. So he sees her running around and he’s only taken four bites, I don’t want him to get up yet but he’s ready to play. So sometimes I let him sit next to me in the living room, or out on the porch, or in front of the TV, and help him (cleanly!) eat more, and all the while, he doesn’t feel like he’s left out. This all came into perspective for me one day when my daughter finished before him, and went outside to blow bubbles. He could see her through the window, and wouldn’t eat another bite, begging to go outside. Finally, I just offered to sit with him outside, and finish his lunch there. He happily sat on the bench with me, surrounded by bubbles, eating his lunch. It seemed like a battle won for both of us. We didn’t need to fight – we needed to change our perspectives.